Laminated Shims have peelable layers of metal which are removed until the Shim has the proper thickness. They are built up from layers of precision gauge metal foil. Layers are bonded into a rigid structure that appear and function as a solid sheet or plate. Adjusting them is as easy as peeling off laminations with a knife, or in the case of some materials, using no tool at all. Rather than having to stack a number of individual Shims, a single Shim set can be adjusted to desired thickness and slipped into position. 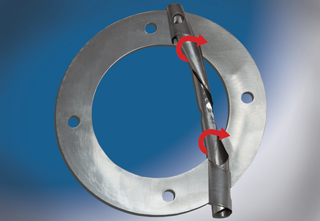 In this way, variable close tolerances can be achieved saving considerable time required to pick various different thicknesses of loose Shims. This provides cost savings by reducing assembly time, and also minimizes line side SKU's and related inventory storage space. 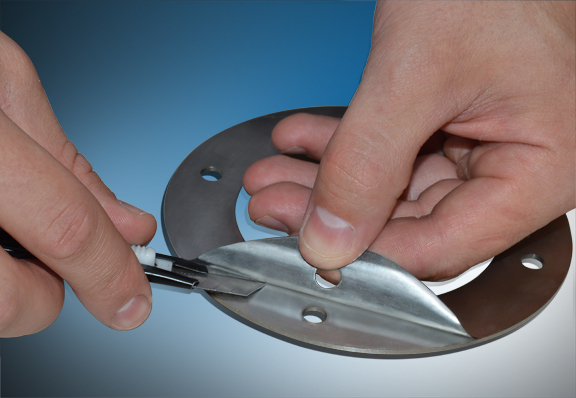 The finished Laminated Shims withstand reasonable handling, including shearing and machining. Surface Bonded Laminated Shim packs, simply referred to in the industry as "Laminated Shims", are adhered throughout the entire surface between each layer of material and the layers are pressed together to cure much like how particle board is manufactured. The unwanted layers must be discarded due to their deformation during peeling. The layers of an Edge Bonded Shim set are first pressed together, and then adhered by only the edges of the Shim's profile. This allows for a much easier separation of the layers in the field. Since Edge Bonded Shim sets are easy to peel, the layers that are not needed are preserved and can be used for a later application. Both types of Laminated Shims, Surface Bonded and Edge Bonded, offer the advantages of reducing assembly time, taking up less inventory storage space, and reducing the number of line side SKUs. 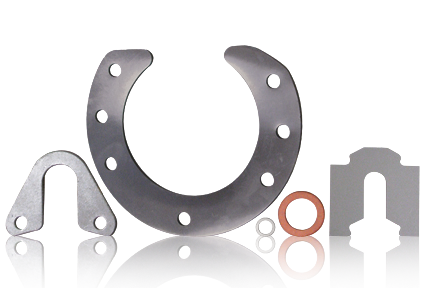 However, when speed of adjustment, operator safety and minimizing your overall cost of assembly are your primary objectives, Edge Bonded Shims provide the best solution!